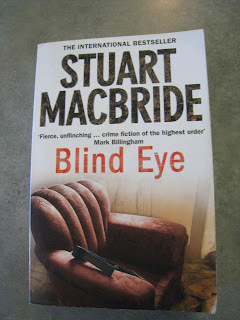 The Little House of Concrete Bookshelves: Stuart MacBride "Blind Eye"
When The Actor turned up on the doorstep with a previously unread Logan McRae title from Stuart MacBride I was left scratching the noggin with vague memories of familiarity, and a few pages in I realised this was, in fact, one that had got away from the review process, presumably read in Southport and filed away as a subject for a Library Fiction entry that subsequently failed to materialise. The main plot line has Aberdeen's Polish community under attack from a serial offender who leaves mutilated victims on building sites with their eyes gouged out and the eye sockets burned. Given the fact that these discoveries are regularly followed by threatening letters with an abundance of exclamation marks it seems safe to assume we’re looking at a psychopath with deep anti-Polish sensibilities, but there is, as usual, more to the case than meets the eye. Given the gruesome descriptions of the victims in an investigation that, predictably, has been codenamed Operation Oedipus, you’d hardly be expecting a story that’s partly driven by humour, but that lack of expectation would stem from a lack of awareness of Logan McRae’s increasingly out there boss, DI Steele, who mightn’t quite steal the show but gets within a short half head of doing so. With adoption having been ruled out of contention Steele and her partner’s desire for a child has seen them turn to IVF, and when that idea’s torpedoed it’s a matter of doing it yourself with a suitable sperm donation. 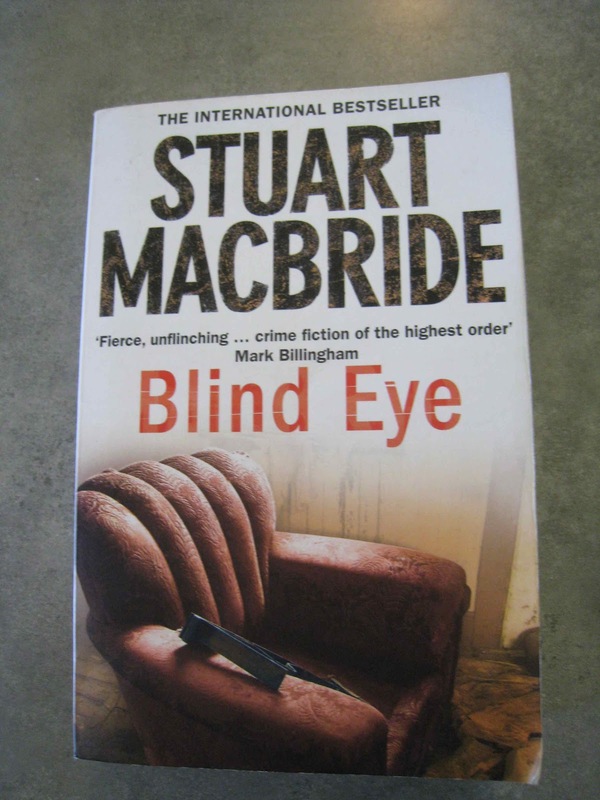 Attempts to coerce McRae into the donor’s role (particularly after he’s been caught in flagrante with the Identification Bureau’s only tattooed Goth) contribute to the show stealing, as do Steele’s regular interactions with her colleagues, but the main focus of the story starts to come into question when Simon McLeod, owner of the Turf n' Track bookmaker’s operation, rather than another Pole becomes the latest blinding victim. A reluctance to talk is would be understandable where the Poles were concerned, but McLeod isn’t talking either, not even when his business is firebombed and we’re seemingly looking at a takeover of Aberdeen’s underworld as foreign powerbrokers start to impinge rather seriously on the turf of Aberdeen's prime and most vicious crime lord. With plenty of action, an intriguing story line, an aside trip to Poland where things definitely aren’t the way they seem on the surface, the regulation group dynamics as McRae angles for a vacant DI’s position and Steele and the pointedly prickly DCI Finnie go about their business without too much regard for the niceties of polite interaction and an underlying sense of humour that leavens the mix rather well Blind Eye was another cracking read in a highly enjoyable series. So how the hell did I manage to miss reviewing it first time around?